Our customers can avail from us a quality assured gamut of Industrial Rubber Products that are manufactured using premium quality raw material. 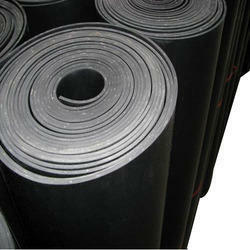 Industrial Nitrile Rubber Gaskets are made of high-quality raw material. This rubber gasket is a mechanical seal that fills the space between two mating surfaces, generally to prevent leakage from or into the joined objects while under compression. 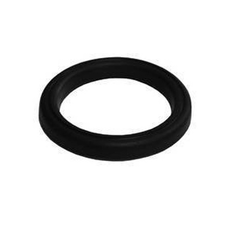 We provides superior range of Industrial Sponge Rubber Gasket which are used in automobile and home appliances.Rubber gaskets are durable and high performing. These can be used in both hot and cold mediums such as water, oils, acids & chemicals applications. 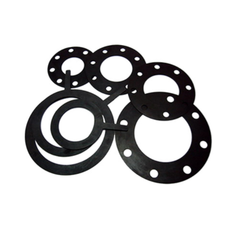 Our range of qualitative gaskets is widely used for sealing, packing, etc. 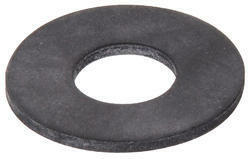 Neoprene Flat Washer is standard washers used for general-purpose fastening. They are placed under the head of a bolt or above a nut to distribute clamping force and prevent fasteners from pulling through materials. 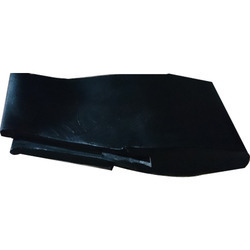 It is an elastomeric rubber based insulation material in the form of sheet and pipe with closed cell structure which doesn’t contain CFC halogen materials (chlorine, bromine, etc.) and PVC. It is manufactured to be used for air conditioning, heating and cooling systems. It has high thermal insulation value. It can be faced with aluminium foil and can be self-adhesive. We provides superior range of Sponge Gaskets which are used in automobile and home appliances.Rubber gaskets are durable and high performing. These can be used in both hot and cold mediums such as water, oils, acids & chemicals applications. Our range of qualitative gaskets is widely used for sealing, packing, etc. We offer finest quality Floating Roof Tank Sheets that are supplied in the form of corrugated sheets in different metal grades. These sheets are manufactured using innovative technology and high class machines. We can also custom develop these products to suit clients’ requirements. 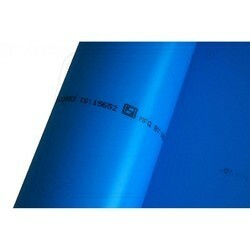 These sheets are also highly economical, cost effective, easy to fit, and easily transportable due to its lightweight. 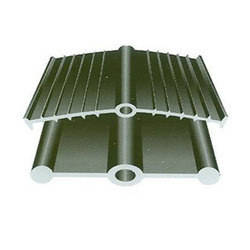 PVC Water Stops Sheet is profiles based on specifically formulated plasticized PVC composition. Water stops are used in concrete masonry construction of hydraulic structures to safeguard from hydrostatic pressure and water seepage. Waterstops also withstand expansion or contraction of joints and take care of any deflection or displacement arising due to change in temperature or settlement of foundation or settlement of foundation eliminating the danger of cracks. These are engineered as Water Tight Seals in poured concrete structures. The water stops are tested in the factory as per ASTM, and the performance requirement of water stops will meet the Bureau of Indian Standard Specification IS: 12200/1987. Bridges, Road Embankments, Concrete Roads, Tunnels, Water Tanks, Swimming Pools, Municipal Hydraulic Projects, Clarifies, Sewage Disposal Systems Neutralization Tanks. Basement Foundations Floor Slabs, Terrace, Concrete Runways, Retaining Walls, Overhead Undergrounds Water Tanks, Multi Storeyed Buildings. Fertilizer, Steel Effluent Treatment Plants, Thermal Power Stations, Atomic Reactors, Shipyards Docks, Cooling Towers. Dams, Canals, Aqueducts, Large Reservations, Irrigation Project. Lower water absorption than rubber. Unaffected by acids, alkalies, metal salts and other chemicals. Can bear shocks of heavy turbines earthquakes, floods. Works as Water Tight Seal. Allows safe passage of seepage water. Selection of the Water Stops depends upon hydrostatic pressure or safe passage of seepage water. Dumb Bell type to be used for substantial expansion/contraction of joints takes place. Serrated type to be used for differential settlement and firm grip in concrete is required. The overall width of water stops shall not be greater than the thickness of concrete. 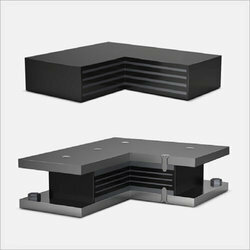 The distance between the concrete face and Waterstops shall be not less than half of the width of water stops. The width of the water stops shall be at least 6 times the largest aggregate used for satisfactory compaction. Firstly one-half of the water stops are embedded in the concrete leaving the second half extended. The second half is also embedded leaving the centre bulb for expansion and contraction. Care should be exercised in pouring concrete without misaligning the water stops. 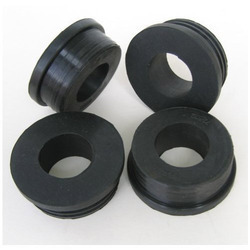 Neoprene, a synthetic rubber used in the manufacturing of these washers. 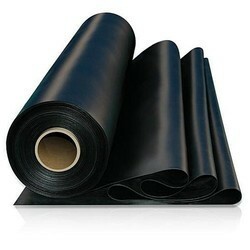 EPDM provides superior properties for outdoor and high temperature applications. 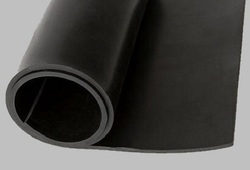 EPDM has excellent resistance to heat, ozone and sunlight and good resistance to alkalis, acids and oxygenated solvents. 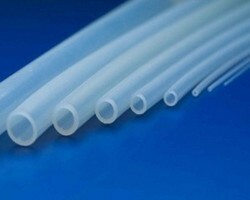 Very good temperature flexibility, superior resistance to water and steam. It is highly extendible and is sulfur and peroxide curable. 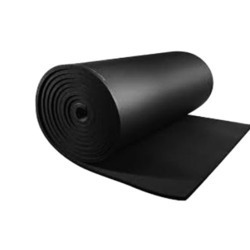 Electrical Rubber Mats are used to render protection while working with high or Low Voltage Electrical equipment. This fire resistant mats has high tensile strength strong and durable and ideal for use in Control Room and High Voltage Zone. 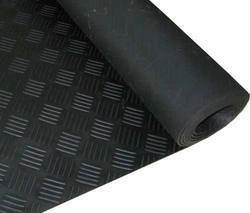 These mats has surface of checkered design for superior grip. It is most commonly used in Control Room High Voltage Zone. 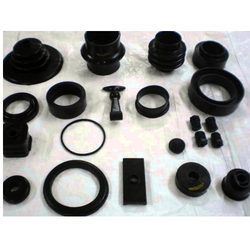 We have in store a wide range of Industrial Rubber Parts, which is manufactured using superior quality raw material. These include shockers, strut rubber components such as the compression bumper and rebond stoppers and rubber seat. Supplied at industry leading prices, these ensure the durability and add long life to the entire machinery. 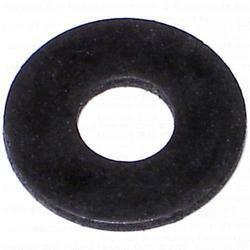 A Neoprene Rubber Washer is a level circle with a midway found a gap. Neoprene level washers have a superb scraped spot and fire protection and in addition incredible fixing capacities. 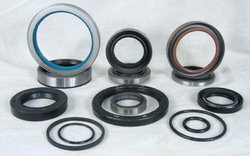 Round Nitrile Rubber Gaskets are made of high-quality raw material. 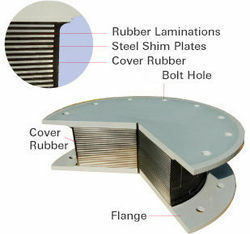 This rubber gasket is a mechanical seal that fills the space between two mating surfaces, generally to prevent leakage from or into the joined objects while under compression. We are the best in industry in providing our customers these Braided Round Rubber Floor Mats for your Home Decor. These mats can be customized as per our customers specifications and it can be availed at most competitive price. 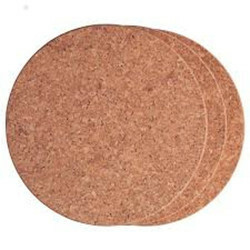 Anti Vibration Pad made from a combination of high quality rubber polymers and cork, this ideal combination ends up to make up a product that has excellent resistance to ageing, compression set, water & oil. 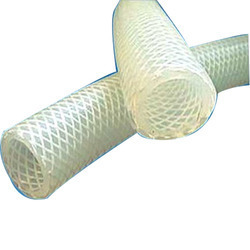 Laxmi Rubber Industries presents the best quality PVC Nylon Braided Hoses. The PVC Nylon Braided Hoses are industrial high-pressure nylon reinforced PVC flexible hose designed for applications requiring a stronger, more resistant hosepipe. The Nylon Braided Hoses are manufactured on fully automatic modern plant as a result of many years of experience combined with advance technology. We bring forth an array of high-quality range of Wiper Rubber, which is primarily used in hydraulics and pneumatic industries. These wipers are made out of force rubber, which refills the long metal handles and facilitates easy removal of water. These products are a must have for proper cleaning and are widely used in various industrial applications. Introduced nearly 60 years ago, Laminated Steel/Elastomer Bearing Pads are now in service in tens of thousands of bridges and similar structures throughout the world. There is good reason for this. They support vertical loads with minimal compression, allow expansion and contraction of the structure with minimal resistance and provide for normal end rotation of bridge beams. In addition, they are easily installed and maintenance-free. All this is encompassed in a unit having the lowest cost per unit of supported load up to approx. 350 kips (1500 kN). More sophisticated designs can be incorporated into an integrated structural system that channels horizontal loads to strong points and away from weaker ones. Ultimately such systems are used to mitigate the severe loading conditions caused by earthquakes. The Team is pleased to offer Laminated Steel/Elastomer Bearings to suit any owner or State specifications. With our extensive design experience we can readily provide designs for specialty applications to meet unique design criteria or specific design requirements. We have in store a wide range of Molded Industrial Rubber Components, which is manufactured using superior quality raw material. These include shockers, strut rubber components such as the compression bumper and rebond stoppers and rubber seat. Supplied at industry leading prices, these ensure the durability and add long life to the entire machinery. 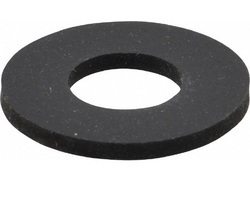 A neoprene flat washer is a flat disc with a centrally located hole. 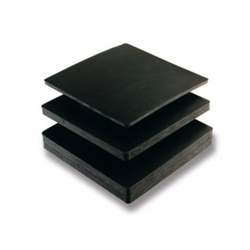 Neoprene flat washers have excellent abrasion and flame resistance, as well as excellent sealing capabilities. Neoprene Washers offered can be made available by us in different finish configuration choices so as to perfectly match up with the specific working demands of the customers. Made available in carbon steel and other base material finishes, these washers are designed to effectively handle high loads and durable stable work performance. Some of its features include finding usage suitability in different industry sectors; stable dimension and strong tension finish; used in industries like chemical, petroleum, food industry and others; used in equipment like mechanical sealing, pressure vessel, reaction vessel, heat exchanger and others. PVC Water Stopper is profiles based on specially formulated plasticized PVC composition. PVC Water Stopper is used in concrete masonry construction of hydraulic structures to safeguard from hydrostatic pressure and water seepage. 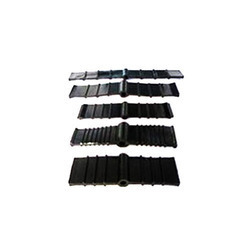 Rubber Bearing consists of alternating laminations of thin rubber layers and steel plates , bonded together to provide vertical rigidity and horizontal flexibility. Vertical rigidity assures the isolator will support the weight of the structure, while horizontal flexibility converts destructive horizontal shaking into gentle movement. Rubber Bearings are used not only for propeller shaft but for cutter shaft head of dredging vessels. Besides the above ,Rubber Bearings are applied for vertical pump shafts. Our bearings are used on various vessels such as cargo boats, ferry boat, tug boats, pusher boats, navy ships, fishing boats with approvals from LR,ABs, BV,NV, CR, NK respectively. Recently the demands for Rubber Bearings are increasing in place of Lignum Vitae on account of a sharp rise in price and abnormal abrasion of Lignum Vitae. Our bearings with quality rubber do not damage the shaft sleeve and offer smooth rotation of the shaft over a long period of time. 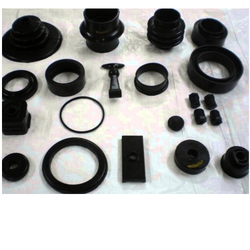 We have in store a wide range of Rubber Components, which is manufactured using superior quality raw material. These include shockers, strut rubber components such as the compression bumper and rebond stoppers and rubber seat. Supplied at industry leading prices, these ensure the durability and add long life to the entire machinery. 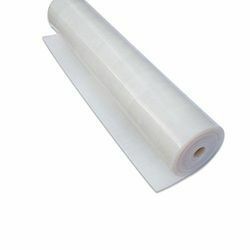 The industrial rubber seals are manufactured from fabric that adds superior reinforcement. Our inflatable rubber seals are able to withstand pressures from steams, gas, liquids, and debris that might make its way into the piping. This durable construction is unique, innovative, and provides not only performance but reliability.